American designer Richard Clarkson has recently teamed up with Crealev, a company specializing in levitation technology, to create ‘Making Weather’ – a Bluetooth speaker disguised as a realistic-looking levitating cloud. This wonder of design and technology is a continuation of Clarkson’s 2014 ‘Smart Cloud’ project. 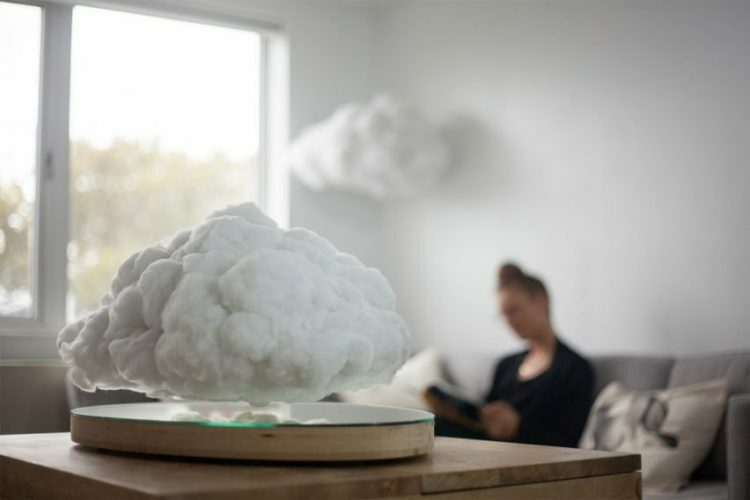 Originally unveiled as a hanging lamp, his indoor cloud has recently evolved into a levitating unit, thanks to innovative technology developed by Dutch startup Crealev. With the help of powerful magnets embedded into an oval base and the cloud, Making Weather floats 1-2 inches off the ground. The designer claims that the cloud has “full rotational movement” and even bobs slightly up and down to create a “realistic atmospheric experience”. 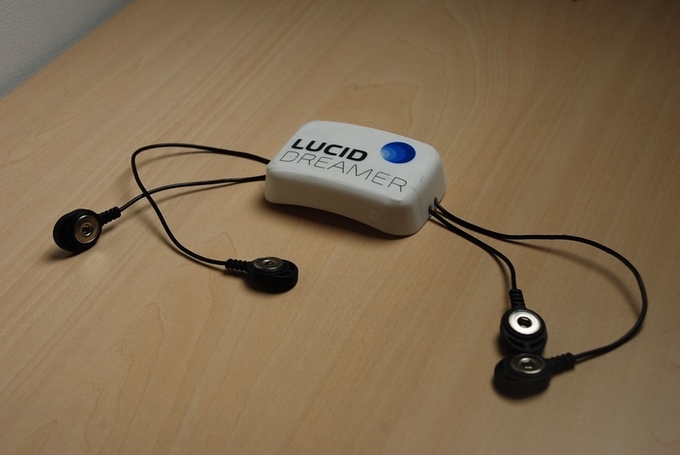 Lucid Dreamer is an ingenious device programmed to detect REM sleep, the time when people dream more vividly, and emit low electrical impulses to help you realize that you are dreaming, allowing you to take control of your dreams and go on lucid adventures. Lucid dreams are dreams in which you realize that you are dreaming, but while 20% of the population experience lucid dreams every month, these are usually happen accidentally. However, recent research has shown that a specific brain activity, known as “gamma activity” is associated with lucid dreaming, and that gama activity can be enhanced with the use of Transcranial Alternating Current Stimulation (tACS), a form of mild electrical stimulation of the brain. During a study in which tACS was used to enhance gamma activity during REM sleep, lucidity was achieved in 77% of dreams. Smartphone addiction is a growing problem that often interferes with our personal and professional lives. 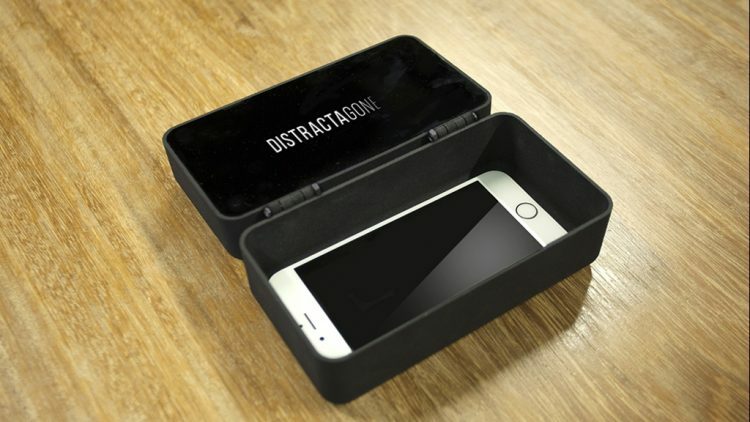 DistractaGone is an ingenious solution that allows you to lock up your phone in a box that only opens after a set period of time, offering you a period without constant distraction. Trying to get some work done, enjoying dinner conversation or even watching a movie can be pretty tough with your phone serving up distractions in the form of various notifications, but even if you’re the kind of person who just can’t stop checking their handheld every few minutes, there is still hope. Introducing DistractaGone, a smart box that locks up to four phones at a time and keeps them inside for as long as you decide. Signl is an innovative gadget that allows users to take phone calls by simply touching their ear with their fingertip. It then transmits the sound through the body, essentially turning their hand into a phone. Signl, formerly “TipTalk”, was developed by South Korean company Innomdle Lab, a new startup founded in 2015 by three ex-Samsung employees. It’s a smart strap that can be worn by itself, with a classic watch or any kind of smartwatch ((Apple, Samsung, Pebble, etc.). 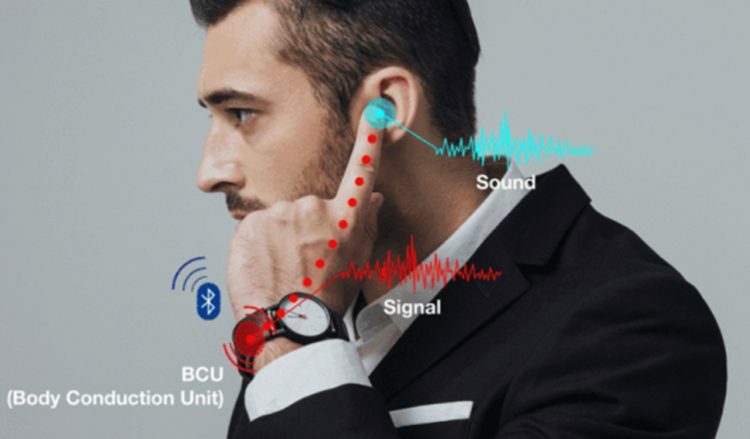 It connects to your phone via Bluetooth and thanks to a built-in “body conduction unit”, the strap sends sound through your body, allowing you to hear the caller just by touching your ear with a finger. A microphone of the strap lets you have a conversation just like you would on a mobile phone. 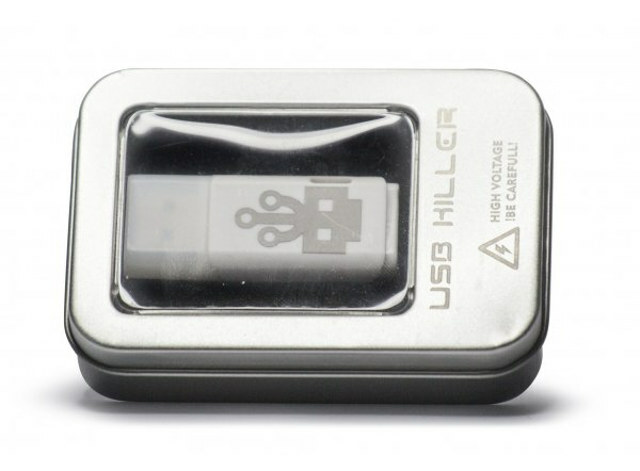 The USB Killer is a commercially available USB stick that can fry almost any computer in seconds by rapidly collecting power from the USB power lines and then repeatedly discharging 240V into the host device until it dies. The whole process only takes a few seconds. USB sticks have long been used infect unsuspecting users’ computers with all kinds of malware and spyware, but last year, a Russian hacker by the name of Dark Purple showed the entire world a new way USB drives can be used to effectively destroy virtually any PC or laptop equipped with a USB port. When it was first revealed, last year, the “USB Killer” was described as a proof of concept aimed at security researchers and folks who work on USB standards, to help them make devices immune to high voltage attacks. A few days ago, however, the USB Killer became a commercially available product that anyone can order online for just $56. The USB Killer looks as harmless as any other pen drive, but it’s actually lethal for around 95% of consumer laptops and PCs. It is equipped with small capacitors that draw power from the USB power source to which it is connected, and when they are completely charged – it can take less than a second – the stick discharges over 200 volts of DC power to the host device multiple times per seconds until the machine is fried or the USB Killer is unplugged. Described as “the most sophisticated ring in the world”, the Touch HB Ring is a smart wedding band that lets you feel the rhythm of your partner’s heartbeat in real time. Phone calls and apps like Facetime or Skype are great in long-distance relationships, but they can only do so much. The internet may connect the world like never before, but it still can’t offer an alternative to physical affection. Or can it? Wearable-tech company Touch has recently unveiled a revolutionary set of rings that rely on advanced technology to make wearers feel closer to each other even when they are hundreds or thousands of miles away. With a power output of 4,500 watts and 108 decibels, the Phantom Gold wireless speaker can literally blow you away. Its creators at French audio company Devialet say that at max volume, the Phantom Gold is the equivalent of a live rock concert. The Devialet Phantom Gold is latest and most powerful entry in the company’s Phantom series, a range of high-end portable speakers looking to replace a whole room’s worth of surround audio gear with something a lot more compact. It has been earning the praise of audiophiles around the world ever since it launched, on July 14, but with a price tag of $2,990, one has to wonder, what makes this gadget so darn special? Computer geeks spend ridiculous amounts of money on high-end rigs all the time, but one digital electronics engineer from Cambridge, England, poured a small fortune into building a giant computer that he only uses to play Tetris. James Newman’s supercomputer took five years to build, cost over $53,000 and takes up an entire room, yet it is a million times slower and has a million times less memory than a typical desktop. That’s because it’s actually just a mega microprocessor. “Computers are quite opaque, looking at them it’s impossible to see how they work. What I would like to do is get inside and see what’s going on,” Newman explains on the Megaprocessor project website. “Trouble is we can’t shrink down small enough to walk inside a silicon chip. But we can go the other way; we can build the thing big enough that we can walk inside it. Not only that we can also put LEDs on everything so we can actually SEE the data moving and the logic happening.” And that’s exactly what he spent the last five decades doing. As of June 22, the Megaprocessor is finally complete. They might look like something created in a laboratory, but these “octopus tomato trees” are merely hybrids that grow from a single tomato vine but spread on a large trellis. Their crown grows to about 40-50 square meters and they yield tens of thousands of tomatoes every season. The first time I saw a photo of an octopus tomato tree online, I was convinced it was nothing more than a clever hoax. It looked pretty cool though, so I decided to do a bit of research, just to be sure. At first, I only found a couple of mentions of these impressive plants on some gardening sites, but they didn’t offer much info on them, like how they are grown and where they can be found. Luckily, I stumbled across a travel blog that mentioned these tomato trees as a tourist attraction at Walt Disney World Resort. It even had a few photos of the trees, so I was starting to believe they were actually real. Soon after that, I found a bunch of people selling tomato trees on sites like eBay and Aliexpress, and even a short YouTube clip, so I finally decided they would make a great addition to our collection of amazing things most people don’t even know exist. The Scribble Pen is one of those awesome things that exist in our imagination, but that we never expect to actually become a reality. This high tech pen lets you draw in any color imaginable just by scanning things around you. ‘The world’s first color picking pen’ incorporates a color sensor and microprocessor to detect and process whatever color you want to replicate. All you have to do is place the top of the Scribble Pen -where the sensor is located – on the object, flower or anything else that you want to scan, and the device will copy its exact color. Say you want to draw in the exact red shade of a beautiful rose, or in the vibrant green of a certain tree leaf, all you have to do is scan it with the Scribble Pen and you’re good to go. Don’t you hate it when you’re using your smartphone on public transportation and notice strangers looking at it over your shoulder? Those people are the worst! But thanks to Celal Göger special glasses, you won’t have to deal with them ever again. Göger, a 42-year-old mobile phone repairman from the Turkish town of Bismil, Diyarbakır province, has invented special glasses that interact with a smartphone’s screen so that only the wearer can see it. He said he came up with the idea for the glasses four months ago, when, while checking his emails on the local tram, he noticed people on the packed vehicle were staring at the screen of his phone. 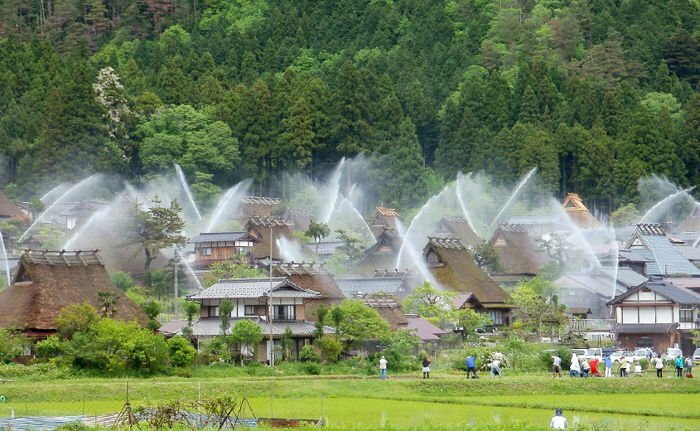 He realized it was a serious privacy issue that surely other people were facing on a daily basis. So he went back to his phone repair shop and started working on a solution. Getting up early in the morning to the annoying sound of an alarm clock is one of those painful experiences many of us have to go through every single day, but perhaps throwing in the smell of freshly brewed coffee might improve things a bit. That’s what the makers of The Bariseur alarm clock are counting on, anyway. With so much information available at our finger tips, at all times, it’s no wonder that most of us spend more time staring at our smartphones or computer screens than we do interacting with other real-life people. Some of us are so addicted to modern technology that we come up with all kinds of crazy ways to keep ourselves from using our phones or laptops all the time. One such solution is this pair of glasses that become opaque whenever you look at a screen. How much is privacy worth to you? If the answer is “a lot” and you have tens of thousands of dollars to burn, you might want to check out the new Solarin Android smartphone, a $16,500 handheld that its makers claim is “the best in the world”. For that price, it better be! Solarin has been in development for the last two and a half years and was finally launched this week, during a high-profile event in London. 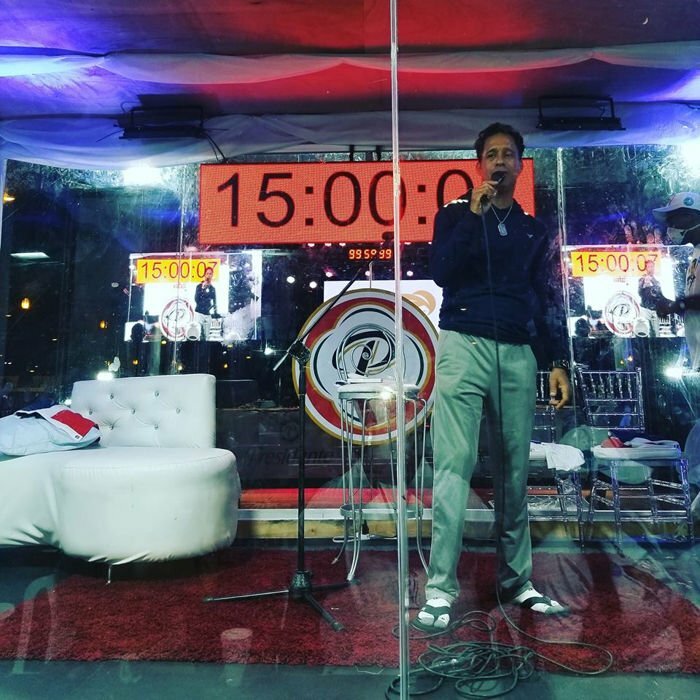 Its makers say it has the best display, the best smartphone camera, the loudest and richest speakers, more 4G LTE bands than any other phone and Wi-Fi speeds up to ten times faster than today’s networks. Sounds like a Trump product, doesn’t it? But’s it’s not, we checked. Solarin is the first product of Sirin Labs, an Israeli startup targeting the premium sector. Four years ago, when London resident James Young suffered a freak accident that left him with an “ugly- peach-colored and obvious” prosthetic arm and leg, little did he know that he would soon become ‘part cyborg’ in a one-of-a-kind experiment that would give him a prototype bionic arm. His new, futuristic-looking arm feels realistic, and in some ways is even better than a real one. It comes equipped with several cool features like a torch, a USB port, a laser light, and even a drone! James’s life would never be the same after that fateful day in May 2012, when he was about to board a Docklands Light Railway train in East London. He happened to be walking too close to the platform when he extended his arm to push the button to open the doors, and the momentum of the moving train made him spin and lose balance. He slipped and fell between two carriages. James has no memory of the incident, but he’s been able to piece everything together using CCTV footage. “My friends looked round and couldn’t see me,” he said. “The train stopped and my friends got on it and pulled the alarm. Two men helped them to look for me. The guy who found me, David Kelly, climbed under the train and talked to me to keep me conscious.” James was then airlifted to the Royal London Hospital where he was kept in an induced coma for 12 days. His left arm was badly damaged, while his left leg was severed below the knee during the accident. Eventually, surgeons were forced to amputate his arm as well, and perform 12 other operations to rebuild his badly damaged face and body.